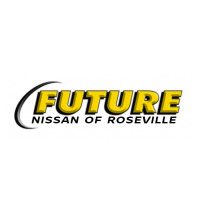 Welcome to Future Nissan of Roseville! For more than 40 years, Future Nissan of Roseville has served drivers in and around Sacramento, Elk Grove, Stockton, Yuba City, and Folsom, seeking to make a personalized dealership experience the norm for drivers in the area. Our staff has always been committed to satisfying customers’ needs across the board, whether that involves hunting down the right vehicle or fixing a faulty engine. Drivers come to us in search of their first or next Nissan model, which might come from our new Nissan inventory or certified pre-owned Nissan selection. If you can’t find what you’re looking for, don’t worry—Future Nissan of Roseville can track down whatever model you might want. Shopping at our dealership means you’re in for a great deal, too, given our generous list of offers and incentives meant to save you even more. Plus, our financing department can arrange competitive loan or lease terms that you’re entirely comfortable with to get you on the road in exactly the model you want. Of course, your relationship with Future Nissan of Roseville doesn’t start and end with the sale, as we’re committed to keeping your car up and running for life. Our service center can accommodate any maintenance or repair request you bring our way, and we’ll send you off in a car that’s as good as new. Visit Future Nissan of Roseville today for a dealership experience where you’re treated as you should be—like family! We’re conveniently located at 600 Automall Dr, Roseville, CA, and we’re easy to reach if you have any questions. We look forward to working with you!